WhatsApp Messenger is a proprietary, cross-platform instant messaging application for smartphones. Moreover, to basic messaging WhatsApp Messenger users can send each other images, video as well as audio media messages. The client software is available for Google Android, BlackBerry OS, Apple iOS, selected Nokia Series 40, Symbian, selectedNokia Asha platform, Microsoft Windows Phone and BlackBerry 10. WhatsApp Inc. was founded in 2009 by Americans Brian Actonand Jan Koum (also the CEO), both former employees of Yahoo!, and is based in Mountain View, California. The company employs 55 people. WhatsApp Android is not compatible with only Android ; it is available for iOS, BlackBerry OS, Symbian and Windows Phone only. WhatsApp synchronizes with the phone’s contact’s book, so users do not need to add contacts in a separate book. As the underlying technology the application uses the open standard XMPP. WhatsApp was founded by two guys “Jom Koum” and “Brian Acton” who spent combined 20 years doing geeky stuff at Yahoo! Inc. before starting WhatsApp Inc. Jan Koum (born in Kiev, Ukraine on February 24, 1976) is CEO and co-founder with Brian Acton of WhatsApp, a mobile messaging application which was acquired by Facebook Inc. in February 2014 for US$19 Billion. Koum is Jewish and grew up in Fastiv, outside Kiev in Ukraine. He moved with his mother and grandmother to Mountain View, California in 1992, where a social support program helped the family to get a small two-bedroom apartment, at the age of 16. His father had intended to join the family later, but finally remained in Ukraine. At first Koum's mother worked as a babysitter, while he himself worked as a cleaner at a grocery. By the age of 18 he became interested in programming. He enrolled at San Jose State University and simultaneously worked at Ernst & Young as a security tester. • WhatsApp Messenger is a cross-platform mobile messaging app which allows you to exchange messages without having to pay for SMS. • WhatsApp Messenger uses the same internet data plan that you use for email and web browsing, there is no cost to message and stay in touch with your friends. 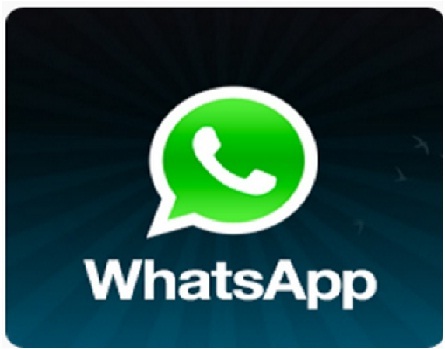 • WhatsApp users can create groups, send each other unlimited images, video and audio messages. • WhatsApp uses a customized version of the open standard Extensible Messaging and Presence Protocol (XMPP). • ID creation : During installation,take userid as Eg. [phone number]@s.whatsapp.net). In Android: reversed-version of the phone's IMEI,MD5 hashed. In iOS: double MAC address, MD5 hashes it. 3. Enter your mobile number and tap on “OK” button. 4. Verification process will be completed in 10-15 secs of 10 minutes total time. 5. Your mobile will get register with your own SIM(mobile) number. Suppose if the application was uninstalled, you can again install and register with the previous number. The process will be same as the above. Whatsapp not only test the mobile IMEI numbers but also test the valid or wrong numbers. suppose if you have entered a invalid/wrong number. For to test this,you need to have a mobile with SIM inserted and whatsapp installed and with minimum balance. 2. Enter any number other than your mobile number and tap on "OK" button. 3. Verification process continues and after 10 minutes of total time. 4. Your mobile gets "connection failed,reverify" popup. This will happen because whatsapp will work for one number and one device. If any one try to register with a invalid/wrong number,a highly secured procedure is implemented. Here we are going to see how whatsapp works when two registered mobile numbers(SIMS) are interchanged. For this you need to have two mobiles registered with their own mobile numbers. Now to verify the above scenario,follow the procedure: But you need to connect to a WiFi/mobile data. 1. Switch OFF both the mobiles A & B. 2. Remove both the registered SIM cards from mobile A and B. 3. Insert the SIM card of mobile B in mobile A. 4. Insert the SIM card of mobile A in mobile B. 5. Turn ON mobile A. 6. Turn ON mobile B. 7. Send a message from any other mobile to mobile A removed SIM number. 8. Message will come to mobile A only, even though it is using mobile B SIM. By this it is observed that whatsapp will work even though the SIM card is changed/removed. But this scenario will work untill we change the number in "change number" option in settings or if we uninstall and reinstall the application. • Application testing requires a detailed overview of the System requirements and Functional requirements. • Testing application and making it to sustain in harsh environment makes the application more flexible and quality wise very rich. • Based on products review upgradation is done this makes application to stay alive and popular in market. • Various robust testing makes the application capable to satisfy every requirements and needs of the customer. • WhatsApp on the other hand has been around for quite some time now and is being used by most and offers functionality like text based messaging and files transfers.